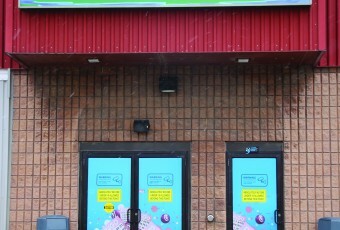 Most Tuesdays and Thursdays, every season, at the W.I.S.H. centre, you’ll find 3 courts loaded with Pickleball® players, and players on the sidelines waiting for their turn on the court. It’s a game that is quickly growing extremely popular with the baby boomers of today (ages 52 – 70), those fully retired, and those who are able to sneak away from work for a couple of hours once or twice a week to get in a game. But it actually doesn’t stop there…………it’s a great game that can be played by the entire family. 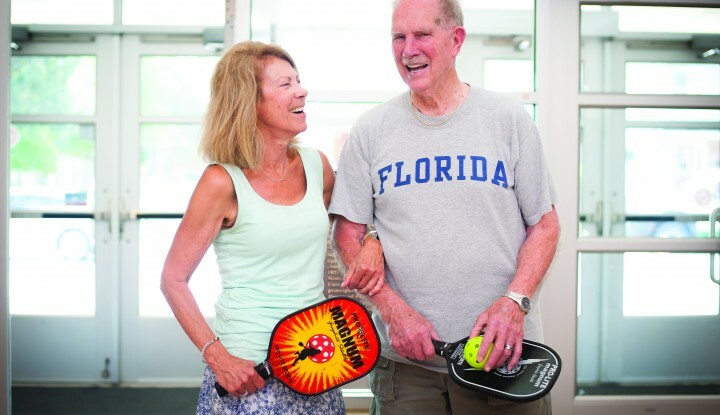 Pickleball® is actually a paddle sport that combines the fundamentals of badminton, tennis, and ping pong. You can play singles, but doubles is more the norm. Each player has a solid paddle and the object is to knock the ball (made of polymer) over a net. The dimensions of the court are that of a badminton court, with the net and rules similar to tennis (with a few alterations.) The game was invented in the mid 60’s as a pastime for children but today seems to be one of the most popular growing games for our baby boomers and beyond. Another source claims “Pickles” was named after the game? Either way “Pickles” was a part of the family then and Pickleball® can be enjoyed by the entire family today!